In February 2018 González Byass loaded two small barrels of Palo Cortado on the Juan Sebastián de Elcano, a training ship of the Spanish marine. This sailing ship took off in Cádiz, sailed around South-America and returned to its home harbour in August 2018. During those six months the wine stayed on the deck of the ship, gaining intensity and maturity due to the changing temperatures and constant movement of the ship. 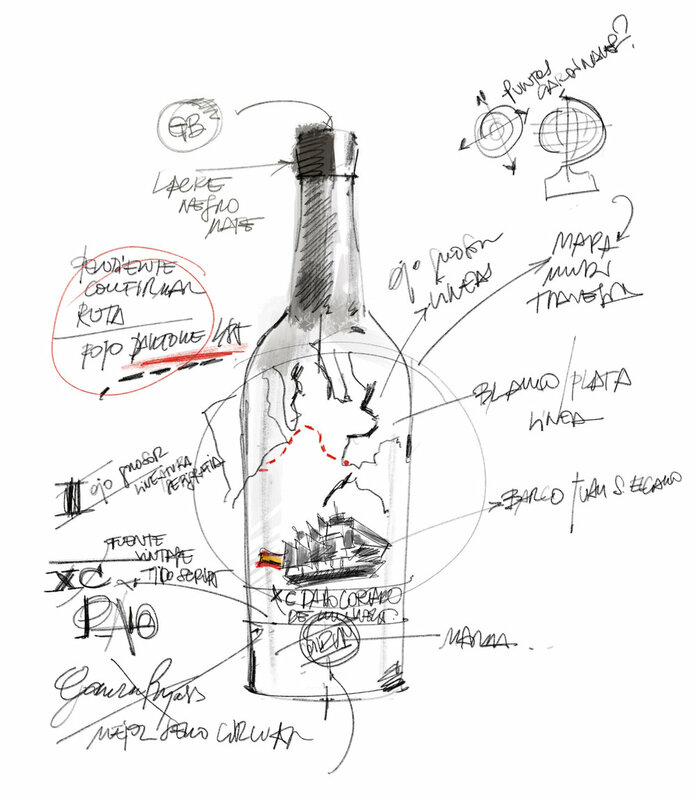 This XC Palo Cortado ‘de ida y vuelta’ (round trip), a 1990 vintage wine, pays homage to the sailors who went around the world in the 16th century and marks the 500th anniversary of the first trip around the world by Magellan and Elcano. In fact, since the late 17th century it was common practice to mature wines on ships, especially those that went to the East Indies. The barrels were used as a stabilizing weight while the ship wasn’t loaded with merchandise, and Madeira, Sherry and even whisky were said to be deeper and more mature after they had been travelling. This kind of sherry used to be worth five times the original price. 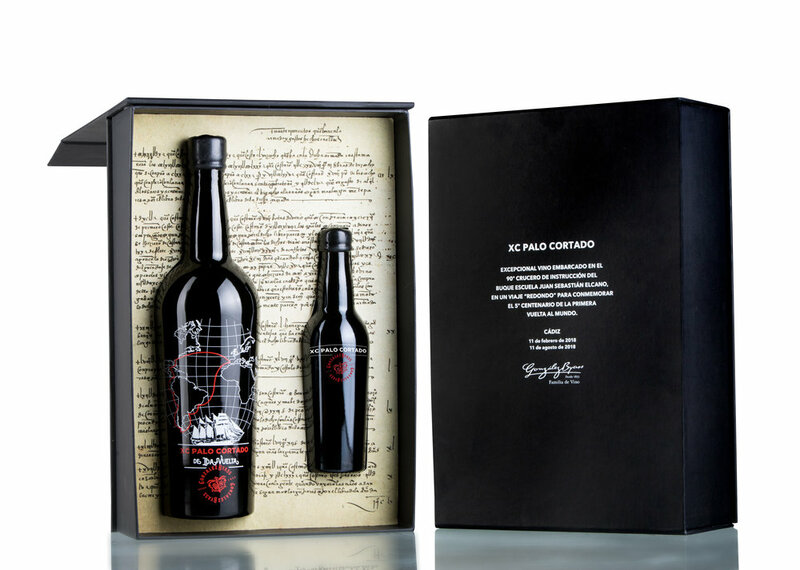 González Byass has made available 550 bottles which are sold in a box together with a 20cl sample of Palo Cortado that was matured in the bodega. Delicate silkscreen on bottle, with black sealing wax on its cap. Personalized case with manufacturer of the first trip around the world of Magallanes-Elcano. Only 550 bottles.